Fairest of Them All is a relatively easy slot. 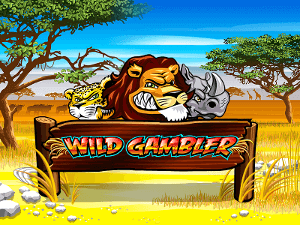 The slot has easily recognizable wild symbols, free spins, and bonus games because their function is written on the symbols. This together with the easy layout of five turning wheels and three rows, makes this slot very easy to play. 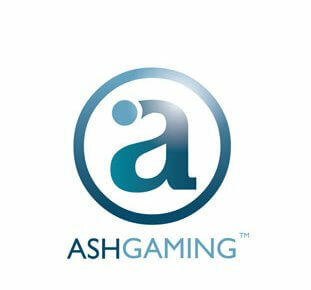 The reason why it is good that Ash Gaming has kept the layout fairly simple is the presence of many extra features. Otherwise, it all might have been a bit much. While you are playing, the animals surrounding Snow White can also give you extra winnings. For example, if a bird flies through your screen, it means you receive a random multiplier which immediately calculates your new winnings. However, this game really goes crazy during free spins. Fairest of Them All might be a misleading name for a game produced by Ash Gaming. Namely, this slot is about Snow White, the dwarfs, the mirror, and, of course, the Evil Queen who would try anything to get rid of Snow White. While playing, Snow White is constantly on screen and is surrounded by animals. These animals also show up on the turning wheels. But the real center of attention is Prince Progressive because he is the one who will make you rich. Namely, this prince it the progressive jackpot, which you can win in different ways. This has all to do with free spins, the bonus games, and, importantly, the random features. There is a big chance that all of a sudden while playing Fairest of Them All, a multiplier will come your way. How do you play Fairest of Them All? During free spins, the mirror plays a big role. When you can see Snow White’s reflection in the mirror, it means that you will receive a certain predetermined number of free spins. If she shows up in the mirror again, it activates an increased multiplier. When the Evil Queen’s reflection pops up in the mirror, the multiplier goes down a level again. The multiplier does not get lowered during free spins. 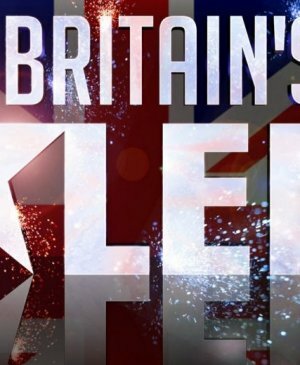 If you see the prince’s reflection in the mirror, it really is time for a big celebration. Namely, when this happens, it means you have just won the progressive jackpot! In that case, let’s hope you aren’t playing a free version! 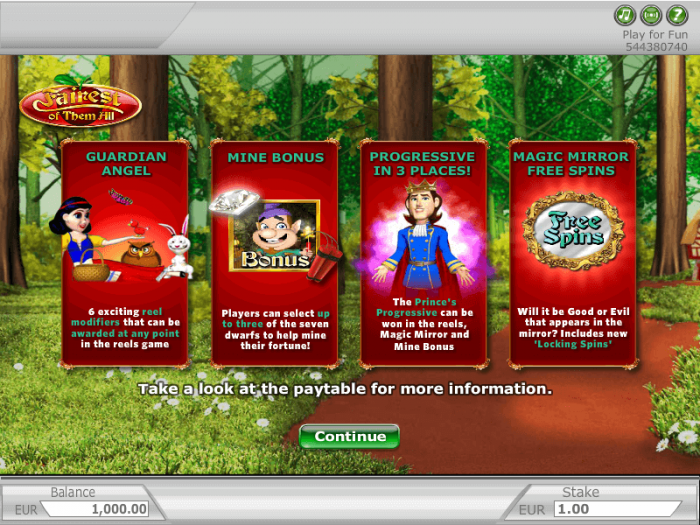 Fairest of Them All does not just have free spins, it also has a bonus game. In this game, the Dwarfs are put to work. If you see the prince at any time during the bonus game, it means that you have won the progressive jackpot! During the bonus game, you have to use a pickaxe in a mine. This means that is basically is a pick ’em bonus, but then very nicely executed, making everyone who plays this happy. 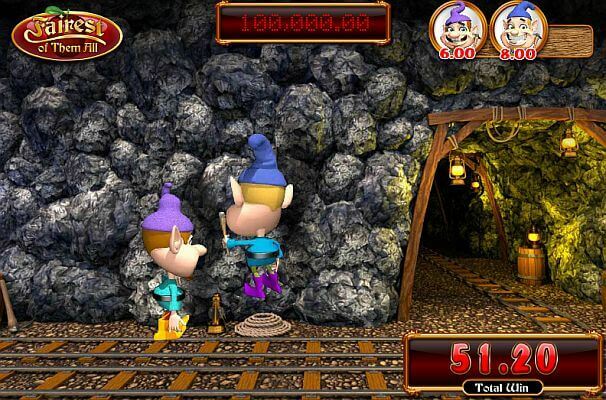 Fairest of Them All has a progressive jackpot, which can be seen at the top of the screen. There are different ways in which you can win this jackpot. Namely, you can win the jackpot during free spins, the bonus game, and even during normal playing time. This slot makes use of 20 pay lines, and you cannot change the number of pay lines you play. However, you, of course, can alter the height of your wager. Luckily, Fairest of Them All also has an autoplay function, which means you can just sit back and relax and enjoy the show.